Question, I don't know how much work it is; but do you think you can do an update for 1.10.2 so the so when using the ToroHealth Damage Indicators mod I can see the mobs names with out all the entity.GraveStone-ExtendedGSZombieSkullCrarler.Name that's just one of the mobs that this happens to and besides that happening, I love this but with my OCD I will not use until it fixed how I am putting together some mods for an RPG like Server once I get everything done on my end. P.S. Keep up the good work even if you can't get it to work with the ToroHealth Damage Indicators mod. And now we play the 1.12 waiting game! Your mod is my top 5 have to have mods. It so much fun and I love finding the cemetery it just so awesome. Thank you for a good words. I'm appreciate it! will you also do a 1.11.2 update soon? Yes, I will! It is almost done. can you update for 1.12? Any thoughts on the progress? Just curious, no pressure!! I love your mods! 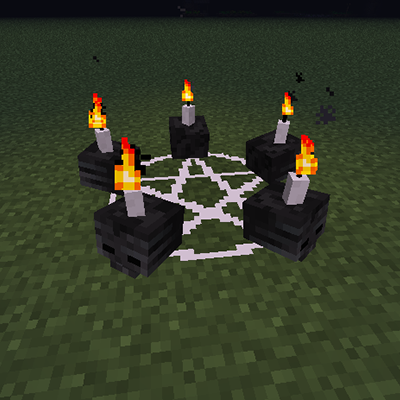 I saw you updated your Graves module to 1.11.2; can we expect the same for this? Thank you! I saw you added under issues "1.11.2" so that means you don't sjip 1.11.2 since 1.12 is released? That are great news, because I'm building a small private mod pack for me and my friends and I'm waiting only for three mods to be updated, one of these is this one. Thank you for the 1.10.2 update, really appreciated!